In her recent interview on DZMM Teleradyo’s OMJ with showbiz reporters Ogie Diaz and MJ Felipe, the 49-year-old star explained, without going into exact details, what role she plays in the altercation. 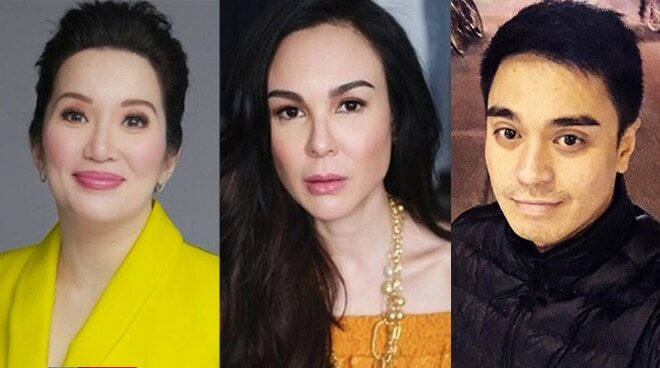 Many have been intrigued by the sudden alliance of seasoned actress Gretchen Barretto with Nicko Falcis on his controversial tiff against Kris Aquino. In her recent interview on DZMM Teleradyo’s OMJ with showbiz reporters Ogie Diaz and MJ Felipe, the 49-year-old star explained, without going into exact details, what role she plays in the altercation. “I'm not saying that I'm the most pure person on earth, but ang tama ay tama. Nandoon ako sa tama. Kahit kaibigan kita, kapag mali ka, mali ka. Kapag inaapi ka, nandoon ako kahit hindi kita kaibigan,” she said. Gretchen, who revealed that she has yet to meet Nicko in person, said that there’s a reason as to why she got herself involved, though refused to expound except in her later statement. “You do something to me today, hindi ako magre-react ngayon. I may react many years later,” she said. “Kris [today] is powerless. This is the time I feel like I can react because for the longest time, she had the power and she did everything that she wanted,” she added. It was early this year when Gretchen began to show support for Nicko in light of his legal battle against Kris, who has since accused him of fraud as her former business associate in her production company Kris C. Aquino Productions. Aside from communicating with Nicko, Gretchen has suspected Kris of meddling with a friend’s tax trouble using her connection with former BIR Commissioner Kim Henares, as well as accusing the latter of approaching her sister Claudine Barretto with the intention of ‘destroying’ her together, both of which the Queen of All Media has since denied. Later, Gretchen would throw a thanksgiving party for Nicko a week after the dismissal of his qualified theft charges from Aquino by the Office of the City Prosecutor in Makati.